302 West Smokehouse and Tavern first opened its doors to the public in January of 2008. It is a family owned and operated business, with a dedicated staff and strong local following. 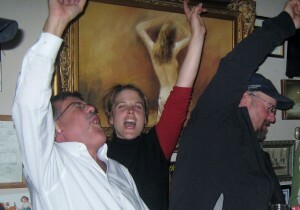 With a committed focus on happy customers, the entire restaurant is passionate about great food and good times! Exciting, innovative, daily and weekly specials compliment the newly expanded menu to offer a wide variety of taste sensations. 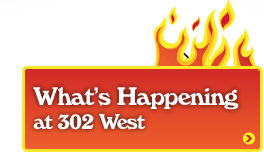 Hosting creative events, intimate entertainment, and weekly contests ensure there is always something going on at 302 West! Owner and entrepreneur, Bob Wentworth has been in the restaurant business for over 40 years. He is often found working in all areas of the business. It is not uncommon for him to visit your table to check in on your satisfaction and thank you personally for your business. His wife, children and grandchildren are often seen merrily hanging around and one of his daughters is an integral part of his management team. Bob treats his staff and loyal customers like extended family. Bob is an avid “collector”; with an impressive collection of cookbooks, Marilyn Monroe memorabilia and antique kitchen gadgets (many of which adorn the walls of the restaurant’s dining room). The restaurant can be found in the renovated, yet rustic, barn of an old Maine farmhouse. It is centrally located in the heart of Fryeburg village, within walking distance of several well-known recreation areas: the Saco River, Lovewell’s Pond, Jockey Cap and The Fryeburg Fairgrounds. It is also located right up the street from the renowned Fryeburg Academy.